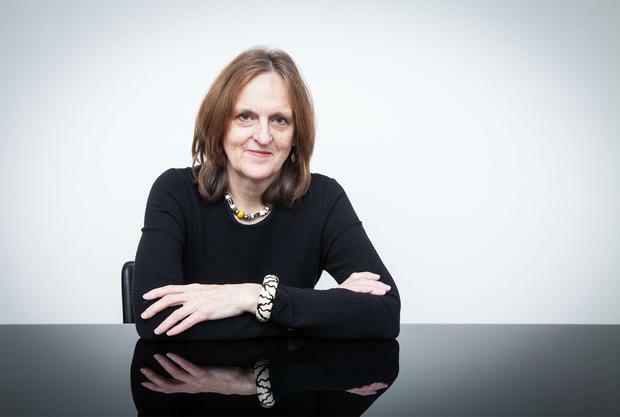 Why isn't Tessa Hadley a lot more famous than she is? The answer, perhaps, has to do with how hard it is to describe what makes her such a good novelist without falling into the trap of calling her books "quiet". Certainly, the unapologetically domestic titles dare you to do that - The Master Bedroom, Accidents in the Home, Clever Girl - but once you are immersed in one of her subtly realised fictional worlds, she shows you how loud that "quiet" can be. The fact that Hadley has been overlooked by the biggest prizes, and hasn't the selling power of, say, Rose Tremain, is both an injustice and a case of life imitating art. One of the patterns she captures so well in her plots is how some people, despite palpable worth, can be underestimated, seeming to melt into the wallpaper while others show off. One such character is Christine, who makes up a corner of the taut quadrille of middle-aged best friends in Hadley's new novel, Late in the Day. Christine, an artist, is married to Alex, a lapsed poet, son of a Czech dissident. Her best friend, the voluptuous Lydia, is married to Alex's best friend, Zachary, a rich and jolly gallerist. Both pairs have a daughter, and the daughters are also best friends. The novel begins with Zachary's death, and plays out its consequences, like chess. As Christine prophesies: "Without Zachary, our lives are thrown into disorder. Of all of us, he's the one we couldn't afford to lose." Things do go extremely awry: Christine, unable to paint, locks up her studio; Lydia, unable to be alone, moves into her friends' spare room; Alex, unable to explain why, starts having an affair with Lydia. Every other chapter, the novel tilts on its axles to show you the dark undercarriage of the situation, by going back in time to a period when it was Lydia who was obsessively in love with Alex, and Christine who was dating Zachary. Christine is the one the novel is "about", although for most of it you don't notice that, being allowed far enough into the thoughts of other characters to give it the feel of an ensemble piece - like Hadley's last novel, The Past, rather than a picaresque, like her 2013 Clever Girl. Christine, too, is a clever girl. She is a Hadley type: a smart, self-aware woman, startled at her own failure not to get bogged down in a bourgeois, wifely existence. As Christine puts it, "Neither she nor Lydia were conventional in their personalities, they called themselves feminists, yet both had chosen patterns of relationships with men which looked almost like their mothers' marriages, dependent and sheltered; they lived their secret lives inside the strong shell of their husbands' worldliness and competence." Christine's case is interesting for being so marginal. She seems to have every chance, every faculty, to live how she wants. The pressures that might have clipped her ambitions are almost imperceptible. We see one such pressure when Zachary asks Alex why he has stopped writing, even though Christine has kept at her painting. "Alex looked startled, before a shutter fell across his expression, across some secret. It took him aback, Zachary saw, to have Christine's work invoked in the same scale as anything he, Alex, might have done. Zachary was startled too. He hadn't known that Alex didn't take his wife's work quite seriously: didn't, in their horrible old schoolboy phrase, really rate it." All this is to exaggerate the importance of a single strand of the novel. Hadley is also excellent on other phenomena of married life: "Christine felt sometimes as though the long years of their familiarity had grown across her throat like a membrane, so that she couldn't easily speak to him, and kept herself hidden." The revelation of every detail is perfectly placed. Christine comes into definition slowly: we know from the first page that she does things "intently", but we do not find out what she looks like until page 109, by which point Lydia, now a widow living in the spare room, has introduced a fatal element of sexual competition. There are flashes of humour, particularly in Alex's extraordinarily coiffed, heavily made-up mother, Margita, who "had learned to do her shopping on a computer - which, like the vases, was displayed on a crocheted doily on the sideboard", but absurdity, with its distancing effect, is not generally what Hadley is after. She is best at wry touches in dialogue. When Lydia phones to give the news of Zachary's death, she and Christine talk at cross purposes for a bit, until Lydia cuts in: "Why aren't you listening, Christine? I told you, he's dead." But she hasn't said that. Late in the Day is confident, brilliant, dark and interesting. There's a fun bit in Venice; a weird bit in Czechoslovakia. Is it quiet? Perhaps, but it might also put you off loud books for life.